I wrote you a love letter. I pressed the delete key until my pointer finger tingled. I miss you. That is all. I've been through many things in my life. It is true that there are many people who walk a simpler path and that I bring on certain situations upon myself. It took me many years to work out why this might be the case. I looked to discrimination based on many of the minority groups I am in but that only explained the disadvantage. I looked to my choices to see if I was making bad ones on purpose. It wasn't a self destructive streak and years of therapy made me accept that. Finally, I realised that things happen in my life because I choose to participate. I dive in to life head first. I fall in love. I take a chance. I change my situation to adopt an oppirtunity. Some people die young and are not buried until they are old. I will not look towards the winter of my life with dread. I will not exist in the summer of my life and hope for moments of spring. No, each season will be the best that I can have and have the best of me that I can give. Maybe that means I fall on my arse regularly but I also experience an overall level of happiness and contentment that a lot of people don't. For now, I shall continue on this path. Yes, despite the downs. Always for the ups. Book 12 of 2014 appears a month after the last book I read. Yes, I have been slack and not actually finishing anything I start. 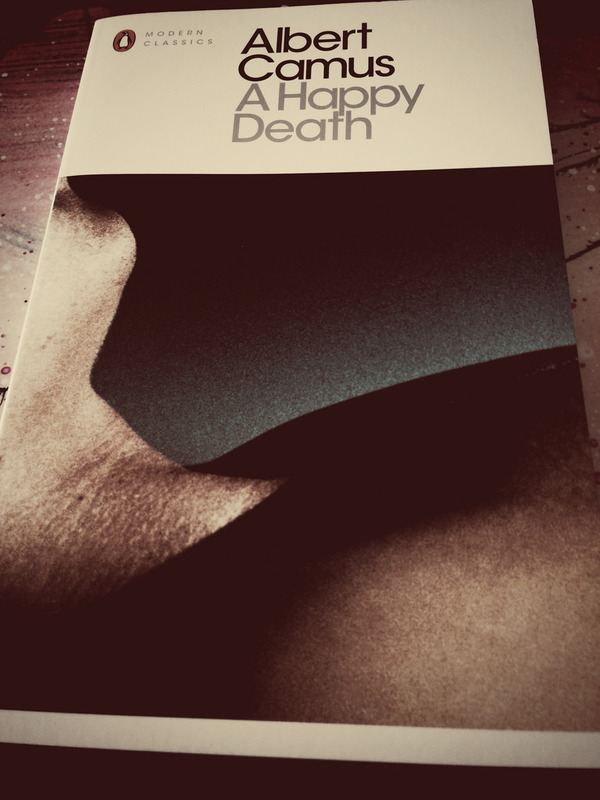 In this case, A Happy Death is the last of Camus' books for me to read. That is both saddening and a prompt to re-read those ones I love and that changed my life. As usual, I'm left with too much to think about after finishing one of his books. There are so many lines that fit perfectly in to what is happening in my life and my own search for happiness in life, while I am unable to feel the connection of love that others so readily feel. "He discovered the cruel paradox by which we always deceive ourselves twice about the people we love - first to their advantage, then to their disadvantage"
When I started this book, it felt too much like my favourite of his, The Outsider. However, it took a different path. Maybe one that was a lot more acceptable to readers when Camus was younger. The Outsider is still a better book but a different one. The in-depth exploration of suicide (assisted or not) and self-imposed exile is something I connected to deeply. A need to rebel against everything you should do by destroying yourself is a hard subject to discuss and not scare people away with. Although he writes in a scattered way, the way Camus wields words will always make me listen and not allow me to put down his books. This may not be the Camus book you should start with but certainly one to read on your Algerian existentialist absurdism journey. At least it is on mine. If that is too much for you, start by watching the Big Lebowski. At least you'll understand why I always sigh and say "obviously, you're not a golfer." Should I read this? Yeah, it is short, perspicacious and beautiful. Like me.